Ann Curry isn’t afraid to speak out. The 61-year-old journalist visited The Late Show on Monday night, where she opened up to Stephen Colbert about her reaction to her former colleague, Matt Lauer, being fired from the Today show. 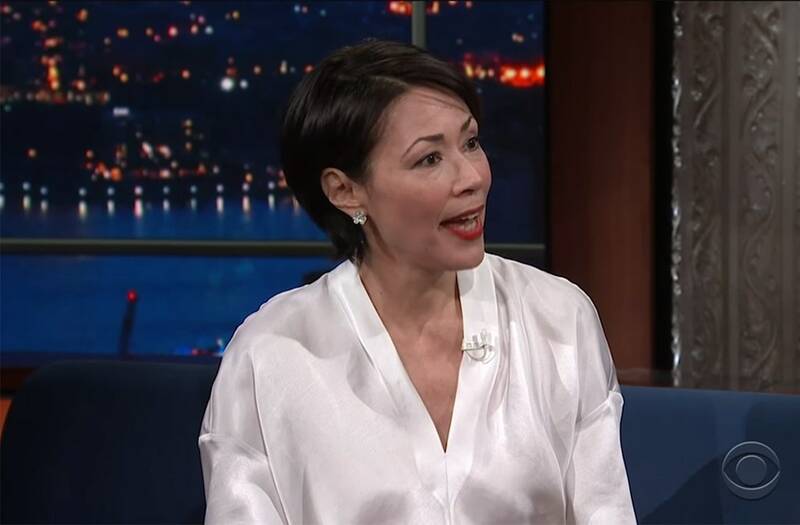 Colbert then brought up the viral “Somewhere Ann Curry…” tweets that expressed all the ways the longtime journalist could be celebrating Lauer’s exit. “But isn’t this his karma?” Colbert asked. Curry exited the Today show in 2012. Rumors swirled that it was due to her lack of chemistry with Lauer. Colbert questioned if a female journalist was to be put in the same position as Curry today if the outcome would be different. And while she remained serious and mostly tight-lipped about the Lauer subject, Curry couldn’t help but gush about her secret crush on Colbert himself. “I’m not sure why, but this is my favorite interview of all time,” Colbert replied, laughing.